What makes a champion? A good start is an intense desire to do whatever it takes to be the best and the ability to work well as a team to produce results surpassing all rivals. 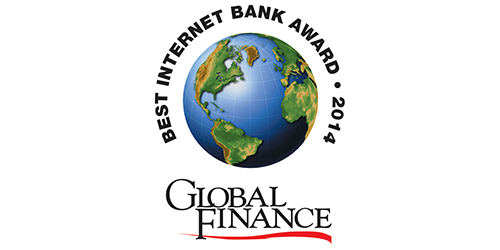 For the 15th year, Global Finance celebrates the champions of the digital banking world. In round one of the World’s Best Internet Banks Awards, country and regional subcategory winners in the Best Corporate/ Institutional Online Banks and Best Consumer Internet Banks were selected from entries evaluated by a world-class panel of judges at Infosys, a global consulting, technology and outsourcing firm. Global Finance editors were responsible for the final selection of first-round winners. This year’s awards saw a 17% increase in participation by entrants. We received 293 entries, up from 251 in 2013, notes Chris Giarraputo, managing director of operations at Global Finance. Interest was widespread, with entries received from 116 countries. Turkey had the most entries of any nation, with Garanti Bank winning the Turkey country award in both the consumer and the corporate/institutional categories. Internet banking leaders who won awards in multiple categories and/or countries include: Commercial International Bank, Citi, Danske Bank, FinecoBank, HSBC, Mashreq Bank, mBank, Piraeus Bank (Winbank), Scotiabank, Sberbank, Standard Chartered and Wells Fargo. These banks and other winners are leading the way in electronic payments, mobile banking, SMS/text banking, mobile banking apps, social media, website design and integration, information security initiatives, cash management and trade finance services, and investment products and services. The competitive pressure to stay on top of evolving technology trends and customer demands is urgent, especially in mobile banking. “Customers’ expectations when it comes to mobile banking are growing every day,” Heather Cox, chief client experience, digital and marketing officer for global consumer banking at Citi, said in a late-May news release introducing a new mobile-banking-app feature called Citi Mobile Snapshot. The feature allows US banking and credit-card customers to view deposit and credit-card balances and recent transactions without having to log on to their accounts. Over time, Citi will introduce its mobile app to customers around the world. In the Best Consumer Internet Banks regional subcategories, Citi won the Best in Mobile Banking and Best Mobile Banking App in North America. Once again this year Citi, which has some 200 million customer accounts and does business in more than 160 countries and jurisdictions, won the most awards of any bank—taking numerous regional subcategory honors and country awards across all regions of the globe. One way top digital banks are differentiating themselves is by using analytics to get a complete view of the client, to determine what products and services customers want, and the best time to offer them. “It’s about personalization and contextual delivery of customer information. Customers really want us to provide them with the things that they want and those things they don’t know they really want,” Lynda Tucker, director, online channel, Scotiabank, stated at last year’s awards ceremony. In this year’s competition, Scotiabank won 22 country awards for consumer Internet banks and 16 for corporate/institutional Internet banks in Latin America. Check out the second round of the World’s Best Internet Banks Awards in December when we unveil the global winners by product service or category, as well as overall winners. 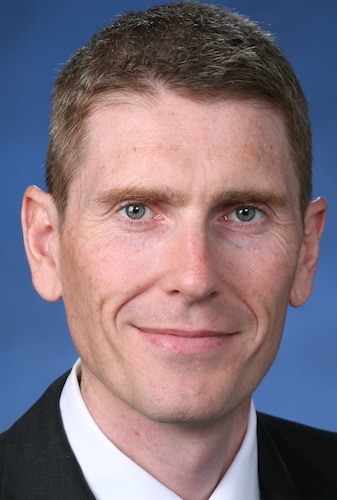 Tony McLaughlin, regional cash product head, Asia-Pacific, Treasury and Trade Solutions, Citi, says online, mobile and Cloud technologies have transformed peoples’ lives. Global Finance: Asia is a diverse continent. What are some of the common demands by companies and institutions for Internet banking solutions? Tony McLaughlin: With an uncertain global economic outlook, a continuing challenge for companies is to operate and grow their business efficiently with minimal risk. Particularly for large and multinational companies and institutions, there is growing appetite for efficient e-solutions that drive greater automation and autonomy in their treasury operations. Simplicity, convenience and consistency in client experience are the common requirements. At Citi, we continuously invest in the next generation of Internet banking infrastructure, intuitive user interface and advanced online analytics that allow companies to have visibility over their treasury flows. GF: Retail mobile banking services are spreading across developing countries. How does the company and institutional market segment in Asia view them? TM: Consumer trends in mobile technology are something that we embrace in our corporate/institutional offerings, to make it easier for the treasurer to access their work on the move. Just over two years ago, we launched the award-winning CitiDirect BE Mobile solution, and we were amazed with the sheer volume of transactions flowing through it. In 2013 alone, over two million mobile transactions valued at more than $140 billion flowed through our mobile platform, of which approximately $36 billion was from Asia. GF: The company and institutional Internet banking sector in the region is considered very advanced. What has made this possible? TM: The trend towards digitization is pervasive in Asia. The Internet, mobile technology and Cloud computing have transformed the way people live and work. In the company and institutional space, the global rise of Asian corporates and the expansion of Western multinationals into the region have also accelerated the development of sophisticated and innovative digital solutions, reflecting the transnational nature of their treasury and finance demands. GF: Where will the next push come from in terms of online banking offerings? TM: Enhanced client experience, advanced data analytics and digital identity solutions, coupled with rapid convergence of mobile and online platforms. This is already happening. An example is the CitiDirect BE Tablet, launched in Asia last year, which provides treasurers with advanced data visualization features, including geographically-driven graphical results of account balances, and drill-down options to global, regional, country or individual account level. 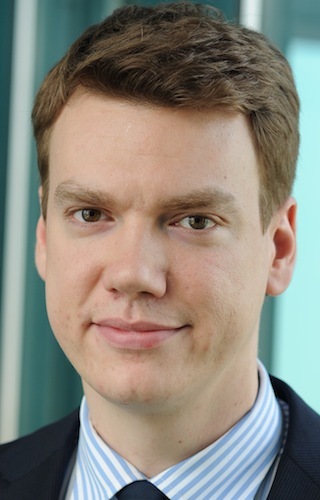 Global Finance spoke with Alexey Khranilov, Sberbank’s e-business project manager, about the market for mobile payments in Russia. Mobile payments are widely used in Russia—more so than in Western markets such as the United States. Credit cards, by contrast, account for much less of the market in Russia than they do in the US. Sberbank is a key innovator in the SMS (text message) banking space. SMS banking enables users to securely and quickly pay merchants and buy goods or services (real or virtual), make deposits or send remittances without having to enter in credit card or bank details or remember any passwords. Sberbank increased its enrolled customers for SMS banking services threefold in 2013, with 25% active customer penetration. In addition to supporting most payment channels and features, the bank’s SMS service boasts unique features such as the Unified P2P (peer to peer) messaging service, which provides SMS notification on transactions along with beneficiary details. It also has SMS invoicing services for card-free and cashless online services. 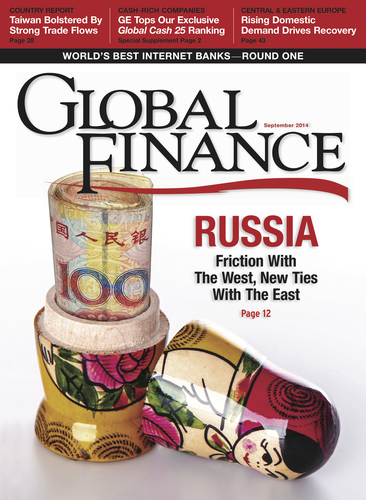 Global Finance: How are Eastern European and Russian banks, such as Sberbank, innovating? Alexey Khranilov: Last year Sberbank launched an SMS service to pay for Aeroexpress train tickets, which has worked so well that we are now considering it for toll roads. Paid parking has just been introduced in Moscow, so we are also developing a system, which will be rolled out in a couple of months, whereby customers can pay for parking in Moscow via SMS. The first time customers use the service they put in the number of hours [they wish] to park and their license number, but the second time round it remembers this information. We are also currently running a project with one of the major e-commerce players where customers can put in their mobile number while looking on any e-commerce portal, purchase any goods, and then receive an electronic invoice to confirm it with the client-concerned code (using their mobile phone as a unique identifier). We will roll this out to physical retailers as well. And we already have one café and one taxi service where customers can put down their mobile number and get invoiced on their phone. It’s faster than mobile Internet (which requires a good Internet connection). It’s cheaper and provides extra rewards for customers. GF: How does the Russian mobile-banking experience compare with that afforded by competitors in the West? AK: Our competitors in the United States do it in the Cloud, but in our case, even if customers have smartphones, they need to have good Internet connections. SMS is different from the Cloud. It is just one step; but it is both simple and smart. Dariusz Nalepa, director of transactional banking, mBank, says by 2016, mobile devices will fundamentally change business and corporate banking. Global Finance: What are some of the demands by your corporate clients for integrated online banking and treasury services? 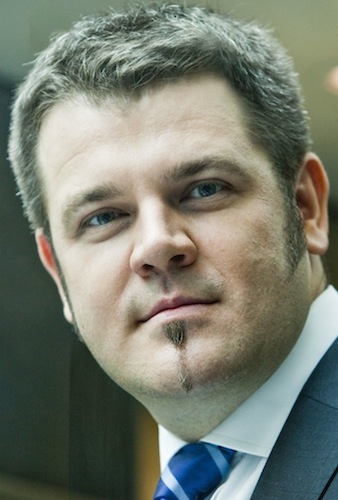 Dariusz Nalepa: Our clients expect us to deliver all services in an Internet-banking-enabled format that is easy to integrate with their enterprise resource planning platforms—not just payments or account information but also solutions for physical cash management, card management, liquidity analysis, trade finance, leasing, factoring and foreign exchange. GF: There is a lot of discussion about retail mobile banking. How does the corporate segment view this offering? DN: The demand for mobile technologies by corporates is growing as a result of their success in retail banking and of managers’ increased mobility. They need to be able to control the account turnover, cash flows and currency sales, regardless of where they are. We are confident that in one-to-two years mobile banking will be a tool required by CFOs and CEOs. GF: What are some of the more innovative features of mBank’s foreign currency exchange platform? DN: Our customers can trade via the website mFX, via mBank CompanyMobile and via Web services, which supports end-to-end integration of mFX functionalities with their accounting system. The mFX platform provides streaming currency quotes. Users do not have to be always logged in. Once the market reaches a set rate, mFX sends a phone or email message to the user, who can then proceed with the transaction. The platform also allows a user to predetermine a desired rate and volume. When the market hits the target, the transaction goes through automatically. A confirmation is sent via SMS or email or, for users with mobile functionality, via “push message” on a smartphone or tablet. Finally, mBank allows FX transactions without balance on the account. A customer can close with delivery of up to two working days without a credit limit. A customer with a credit limit can do forward transactions with the possibility to roll over and to roll back the transaction without changing the spot rate, which is adjusted only by swap points. GF: How do you see the future of the corporate online banking sector? DN: By 2016, mobile devices will fundamentally change business and corporate banking. Mobile and Web services must transform into an integrated ecosystem for corporate clients. Effective usability means a seamless user experience across channels and devices, offering rapid, easy-to-use information and new, client-specific functionalities, while also providing cybersecurity. Raheel Ahmed, regional head of consumer banking, MENAP, and global head, consumer Islamic banking, Standard Chartered, says customers want a consistent experience. Global Finance: What is happening in the cross-border digital banking space across MENA? 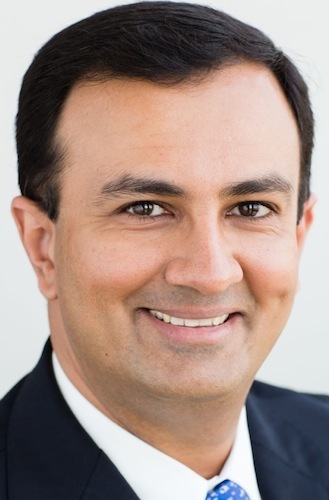 Raheel Ahmed: To make customers sticky on digital banking channels, we need to engage them in ways like never before through tools, analysis, extraordinarily simple user interfaces and other killer features, as we are competing with the digital experience they have on iTunes, Facebook, etc. It will be important for banks to leverage on this idea to bring customers into the conversation while building digital capabilities. GF: What are some of the main variations in regional market conditions for digital banking? RA: Market infrastructure, regulatory framework and demographics primarily define the digital landscape. The speed of networks on Internet and mobile, the penetration of smartphones, regulations around digital banking and the mix of population are all key factors. GF: How are consumer mobile-banking behaviors likely to impact future services? RA: Consumer behavior is typically driven by the needs and the infrastructure available in the market, and mobile banking is no different. It is important for mobile banking solutions to be customized, but it is important that banks do not end up building different and disparate market-specific solutions, which in the long run become extremely expensive to maintain. Giving customers a consistent and carefully thought-out experience goes a long way in helping drive digital banking behavior. Finally, it is important to understand and realize that in today’s multidevice and yet connected world, banks should move away from looking at mobile banking as a separate platform and instead try and offer a consistent digital banking experience to their customers irrespective of the form factor of their device.